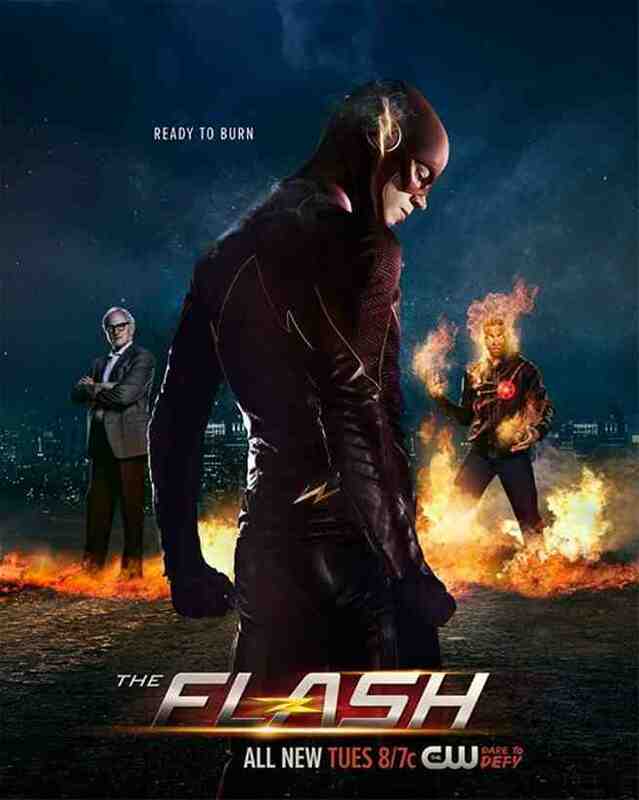 Speeding along quite nicely with the first few episodes of the brand new season, The CW is primed to ignite a brand new set of adventures for Barry Allen and his friends for Season 2 of the Arrowverse spinoff show “The Flash” – which includes the introduction of a brand new “Firestorm“. This new hero still has Prof. Martin Stein as the brains, but a new host body is required in newcomer Jefferson “Jax” Jackson – a former football prodigy who was affected by the dark matter incident two years prior. Following the disappearance of Ronnie Raymond, he’s one of two potential candidates to make the flying flaming superhero whole again… But is he willing to accept this responsibility? Now on its fourth episode, here’s the newest recap for this week’s “The Flash”… With SPOILERS of course! Read on if you want to know how The Scarlet Speedster deals with “The Fury of Firestorm” and then some in this adventure! 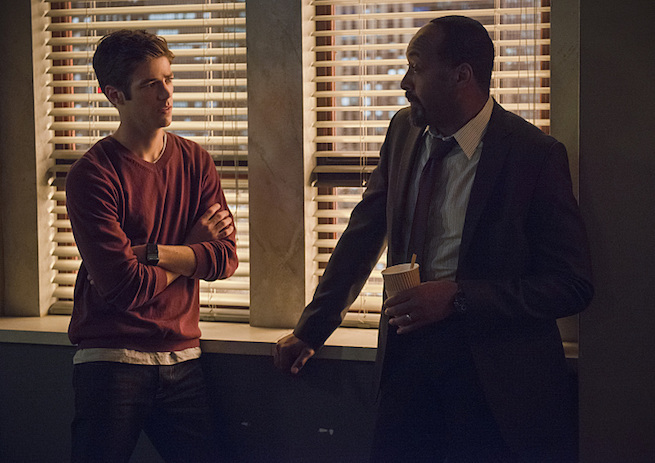 In this episode of Flash, things pick up right after the end of episode 3, where Professor Martin Stein convulses, bursts into blue fames ala Firestorm, and then collapses. 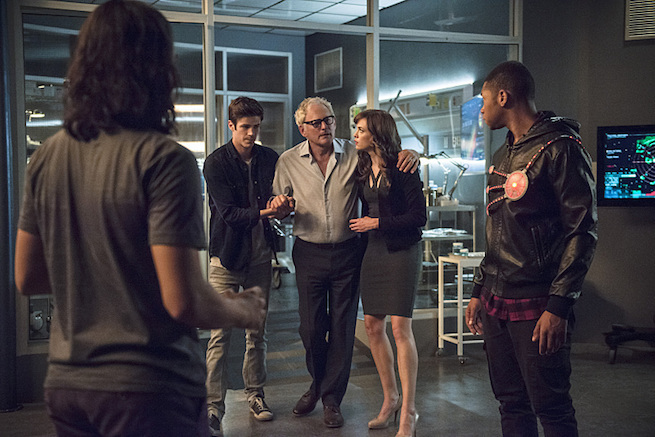 Because of Ronnie Raymond’s absence, Stein’s health is deteriorating, forcing Team Flash to find a way to stabilize the Firestorm Matrix and make the superhero whole again. Enter two candidates in Henry Hewitt and Jefferson “Jax” Jackson – both of whom were affected by the particle accelerator accident two years ago and have the potential to fuse with Stein. While most members of the team (particularly Stein and Caitlyn Snow) are enthusiastic with Hewitt and his background as a fellow scientist, his attempts to fuse with Stein fail, which makes him leave in disgust and fury. However unbeknownst to all, his own abilities have awakened, which clearly affect his mind and temperament. Seeing no other option, Team Flash goes for the other choice in Jackson – who is a unique subject altogether. Once a promising football player with the chance for a college scholarship, the dark matter wave affects and injures Jax to the point of where he can no longer play anymore. Now working as a mechanic in his family’s car repair shop, the young man is skeptical and is hesitant at first to dive into the possibility of unlocking his hidden potential even after being visited and invited by Team Flash to S.T.A.R. Labs. Fortunately due to Stein’s decreasing health, an attack by a very unstable Hewitt, and words of encouragement to “explore new things”, Jax takes the plunge and agrees to the fusion. He merges with Stein and becomes the brand new nuclear man, aka Firestorm. With Hewitt on the rampage at Jax’s old football stadium, the new Firestorm teams up with The Flash to take on their new foe. Thanks to a combination of teamwork and strategy, things go well and both heroes are able to save the day. Looking to better themselves and control the abilities of Firestorm properly, Stein and Jefferson leave for Pittsburgh to visit the former’s colleague who is a specialist in the field. Meanwhile, The West family is undergoing some problems of their own – Iris West finally meets her mom Francine West, and the reunion is not exactly warm and loving to begin with. After that meeting and Joe West reiterating his request for her to leave, Francine reveals that she doesn’t have long to live – which makes her former husband feel guilty about the situation. After telling his daughter and saying that he has her back on whatever relationship she decides to have with her mother, Iris later meets with her mom once more to confront her about her illness. Being an investigative reporter, she confirms that Francine is telling the truth… But is also keeping one fact away in that she has A SON that Joe doesn’t know about. Steadfast in her decision not to have anything to do with her anymore, Iris leaves her mother in disappointment over her actions. 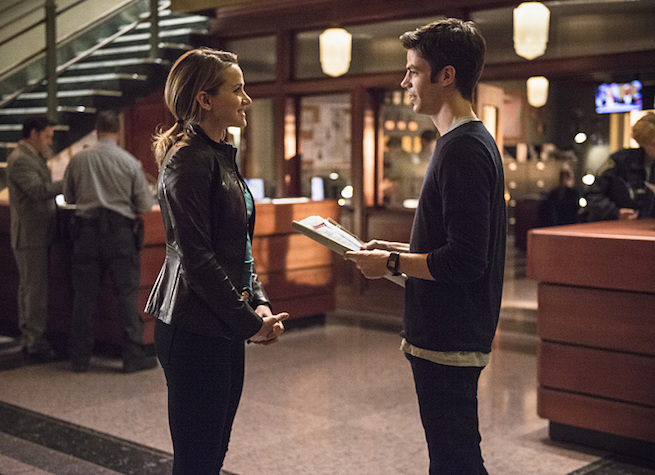 As for Barry’s life outside the costume, things between him and Detective West’s new partner Patty Spivot seem to be blossoming to a potential romance. His feelings for Iris still remain, but Joe encourages his foster son to “explore new things” and live life… Which makes Barry think about taking a chance. A distraction to see Patty from a distance as Flash after heroics is cut short by an attack by a Shark/ Human (Killer Shark) hybrid – which sees The Scarlet Speedster and his possible new fling rescued by the most unlikely man ever – Harrison Wells. WOAH. If that wasn’t a cliffhanger of an ending, I don’t know what is. Every episode of The Flash thus far in Season 2 just keeps getting better and better, and now we arrive at the juncture where a new version of a former mentor/ enemy makes his dramatic entrance. The introduction of the DC multiverse is opening doors to new heroes, villains, and horizons to be explored, and this version of Harrison Wells, his connection to Earth 2 and Zoom, as well as how he will affect Barry and his friends will remain to be seen in the next few episodes. Only time will tell how everything plays out. The Flash airs every Tuesdays in The CW and on international channels like Jack TV and Warner TV on their respective schedules.